[SOLVED] DT 770 PRO 32 Ohm or 80/250ohm (amped or not)? or 80/250ohm and get an external DAC/AMP for it. do powered headphones make a big difference? is it worth to pick up the 80/250 ohm version and power it up externally? The 80ohm version is the one most people like. I think it has less of the brightness issues Beyerdynamic headphones are known for. They won't be too hard to power. How much do you want to spend and do you want portable or desktop? The realtek 800 series of audio chipsets are not the greatest, and are entry level. Amount of Interference really depends on the motherboards quality and design. I think an external dac+amp+80ohm would be a benefit over the alc 892 and lower resistance model. How much do you want to spend and do you want portable or desktop? around 150US would be my budget. This will be desktop only, I figured that the higher impedance will have better damping factor, but how much can I get away with on just the mobo? I see you have some 300ohm drivers- the Sennheiser HD600, HD650, how much would I be looking at for an amp to power something similar from a PC? I know a bit more about car audio, but I find this headphone business quite confusing. its actually 898 and the noise is mainly due to the unshielded audio cables that run across the inside of the case- this is something I will be trying to solve soon. If i manage to eliminate the noise the DAC quality is not something I am concern about tbh. Do you need closed back? The 80 ohm DT 770s are generally considered the least bright of the DT770, DT880 and DT990 line. metal571 is the best of the youtube reviewers in my opinion. He's got the best ear and is the most honest. In your price range the Massdrop O2 / SDAC is hands down the best value. The SDAC measures better than the ODAC I've got and the Massdrop version is $100 cheaper than what I paid for my Mayflower. Do you need closed back? preferably yes, since I often use them at night so I don't create too much noise. thanks for the info, I will check out his channel for other drivers as well - i'm not set in stone on the DT770. The Sennheiser HD598C is a more neutral option. I haven't heard the closed version but I still use my original 598s for gaming and as general use daily drivers. just a quick question about this item- the DAC on it only does 24bit/96kHz sample rate where i get 192 on all channels from the on-board alc898. I would have to go optical to match that i assume price tag would go with it, now is there just an AMP you would recommend? i would think getting just an amp would be cheaper/better quality if i keep the price the same... i would not mind pitching lil more if it would be a tube-amp just to get an experience. I don't even have a tube amp yet and the 600 and 650 are some of the best headphones to use with one. An 80 ohm DT770 probably isn't. The DAC 'only' does 24/96. You have files or a source higher than 24/96? A CD is 16bit/44.1khz. Now if you're willing to spend more on a more capable device I'd recommend an Aune X1S. Again Massdrop ( audiophiles toy store ) has it cheaper than anywhere else. I think it's $300 on Amazon. The DAC section is amazingly good for the price and it will drive just about any headphones with the amp. You have files or a source higher than 24/96? A CD is 16bit/44.1khz. well thats ignorant of me, i confused bit rate with sample rate. the highest quality I have on hand is CD (44khz flac format) files. i will research on HR Audio and check that out. And i was willing to spend more to try out tube amps and what the whole woop is about- i have read a short guide about tube rolling and got me curious. i would prefer to stay out of the DAC/Amp combo and just get a decent quality Amp for around 150 rather than a (lower quality) DAC/AMP combo. This would allow me to get better cans with higher impedance later and if I feel the need a separate DAC down the road. as a side note I have a hard time believing people can actually tell the difference above 1.4+Mbps bit rates... 320-CD is subtle already, is it meant to prevent data loss due to multiple stage decoding/amplification or am i just that tone deaf? Schiit has everything you need. Magni Amp is $100 and it is fantastic amp. They have a killer tube preamp too and I’ll get all that high-end stuff for my house like the bit perfect Yiggdrasil DAC with two Vidar amps in mono block mode with the tube preamp as the topper. And everything will be inherently balanced as well. I need this Freya as the topper. I can't tell a difference between 320kbps MP3 and FLAC. Early last year I ripped my nearly 500 CD collection to FLAC just to have everything at the same level and lossless. Schiit has good products at a good price but objectively I think you can do better cheaper. Especially at their higher end. The Modi/Magni stack competes with the O2/ODAC for entry level at ~$250. Except you can get the O2/SDAC from Massdrop for $150 and that's a no brainer. I'd almost put the X1S in a tier above them. If you're going tubes you want to do it right. Little Dot family or the Darkvoice 336. To get the most out of an OTL tube amp you need high impedance headphones though. And really 95% or 96% of the sound is the headphones. 3% or 4% is the amp and the rest is the DAC which should be transparent. You need to start with a certain level of headphone before you should start thinking about things like tube rolling. the only time I can 'tell' between these is in my car but I'm pretty certain it has to do with the decoder and the computational abilities of the HU (its a 15 y/o deck) which explain why the same difference is noted when I create an Audio CD from mp3's on my PC- basically there is no difference if I create the Audio CD from flac or mp3, but there is a difference if I use a mp3 CD in the car. on top of this, I came across a local individual that swears by Nighthawk drivers by Audioquest which are 25ohms and build like a conventional loud speaker. 25ohm is not high impedance. The Audioquest Nighthawk was released at a crazy $700. Price quickly halved. Some people like them. Most reviewers don't. You're moving a long way from DT770s. What kind of music do you listen to? What's your highest end budget for everything? You have to have closed back right? You want the closest thing to having a traditional loudspeaker on your head? No amp required. It's the only headphone I own I don't genre pair with. To upgrade that is a $1400 ZMF Eikon. You're moving a long way from DT770s. hah I suppose, I'm still stuck between them and the HD598 just due to local availability (I like the bargains of local classifieds on items like these), however if i could source the th-x00 for the 300 mentioned by metal571 I would do it considering it saves me money on the amp making the total required investment the same. The Audioquest Nighthawk ... Some people like them. Most reviewers don't. What kind of music do you listen to? What's your highest end budget for everything? You have to have closed back right? music varies a lot, Rammstein, FatBoySlim, BoneyM, Beaste boys, Micheal Jackson, Prince, some HH/Rap in there but just because of how low they can go, and some random one hit wonders new and old- like Mungo Jerry- In the Summer Time. budget well it depends- i don't like wasting money so if i'm gonna cheap out and get something for 100-200 bucks just to get marginally better than what I have now, I rather double it and be satisfied- but tops would be 350 this time, maybe with open end opportunities to upgrade/try something else later. closed ones would be preferred since I wouldn't have to bother at night time when wife is asleep/trying to sleep- i often stay up. On the other hand I will never use them on phone/portable devices, it will be only for my PC at home. I gotta say this journey is quite exciting since I always kept my audio to my car due to volume, esp the lows- but I feel like this can be quite enjoyable, especially that I care more about SQ rather than SPL. I should of looked into headphones earlier, what pushed me is my earlobes aching form the Marshals. Not gonna lie the TH-X00 is a good match for your music. You can find a used TH-X00 Mahogany in the $325 range. I have both the Mahogany and the Ebony. The Ebony is more neutral and works with a wider variety of music. The Mahogany is more V or really W shaped. The mids are really good still but vocals can get a little lost in more complex music. The Mahogany is more a fast music headphone be that rock, EDM or hip hop/rap. The Ebony retains the extension but is more neutral and has a more refined sound. There's also a Purpleheart which looks amazing but is just a bass cannon for the most part. 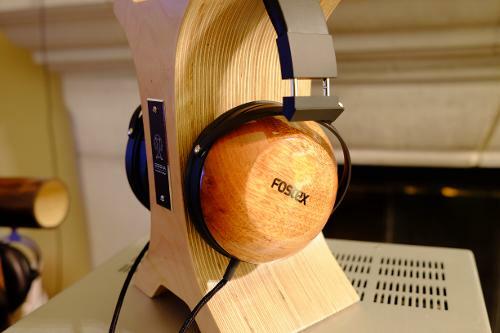 So the Mahogany is a great match for what you listen to. I encourage you to check out some reviews. 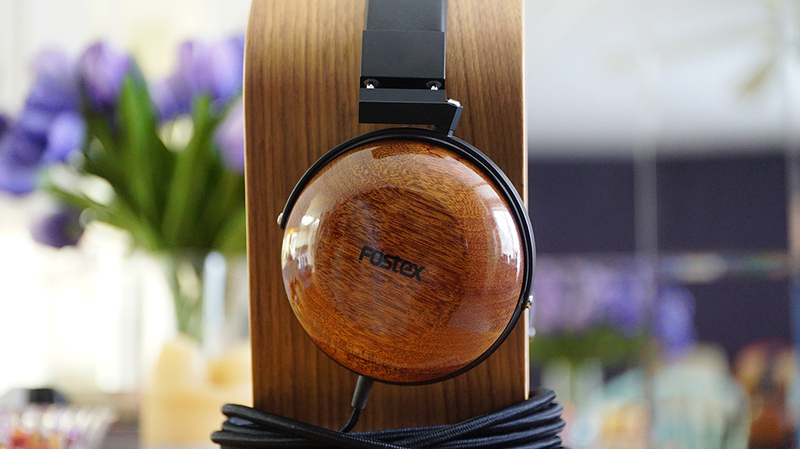 The Massdrop Fostex TH-X00 is a custom version of the popular Fostex TH-600 woody headphone for a bargain price. Read our review now on Headfonics. I didn't buy the Ebony because I disliked the Mahogany, I bought the Ebony because of how good the Mahogany is. I do prefer the Ebony though. I like the HD600 over the HD650 too. Not gonna lie the TH-X00 is a good match for your music. You can find a used TH-X00 Mahogany in the $325 range. I will definitely keep an eye out for that headphone. Another question that came to mind is that what is rather not talked about in most reviews is the true sensitivity. I am not sure if the market here is the same as for car audio but the specs in car audio are mostly fudged so even tho your numbers say one thing you are going to hear/get different performance. What am I curious is- can I go by the sensitivity and impedance ratio to accurately estimate how responsive the driver will be? That should also tell me more about noise floor that can be picked up by one driver but not the other- in which case the external DAC/AMP might be even required to use since the noise might come from the power rails and not external interference (something I'm dealing with now). The Mahogany is more a fast music headphone be that rock, EDM or hip hop/rap. The Ebony retains the extension but is more neutral and has a more refined sound. this is interesting, my music taste might be misleading then, I often go for more flat curve- I am not sure how much of a difference we really talking about but just to give some reference I will never enjoy a ported woofer in a car, sealed altho maybe less tight/punchy gives me more quality over a wider range, which helps a lot with getting that full sound out. I'm actually using a woofer with specs that are more suitable for home audio in my car because of the extension I can get out of it. How suitable are the tx-x00 for ambient music/sounds when not amped? I'm talking soft and gentle, to make you loose yourself within the music, thats something I forgot to mention I suppose, and it connects with my initial question about sensitivity. I would imagine the active drivers (amplified) would shine more than low impedance non-amped option here. When you are on your th-x00 do you still run them through an amp? I do amp them. Even though they're only 25ohms the sensitivity is 94 dB/mW and they do benefit. And my only headphone chains include amps. My LG V35 ThinQ's quad DAC drives them fine in low gain mode. Massdrop just got the Massdrop x Meze 99 Noir back in stock. It's a 99 Classic with both the old superior pads and the new pads most people don't love. It's also $100 cheaper than a 99 Classic at $200. It's also a very easy to drive headphone but is resolving enough to benefit from a good amp/DAC chain. Question Sound card, amp/dac or for my Sennheiser 58x Jubilees? Can the FiiO e10k power the Beyerdynamic DT990 Pro (250Ohm)? DT990 Pro 250Ohm on onboard soundcard.